I really like tube setting, it’s a great way of adding a little twinkly to your jewellery using faceted gems and isn’t too difficult to master or too expensive to do. Tube setting is now part of our 3 day Stone Setting workshop. 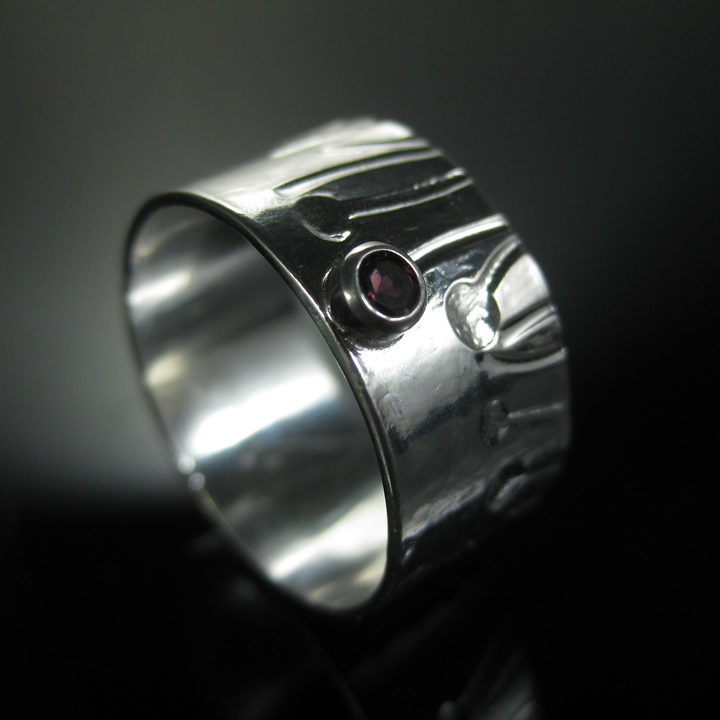 This is my Poppy Ring, the design is rolled into the silver and the method I use means each ring will be different – I then added the tube setting and set a small 3mm faceted garnet to add a little sparkle. 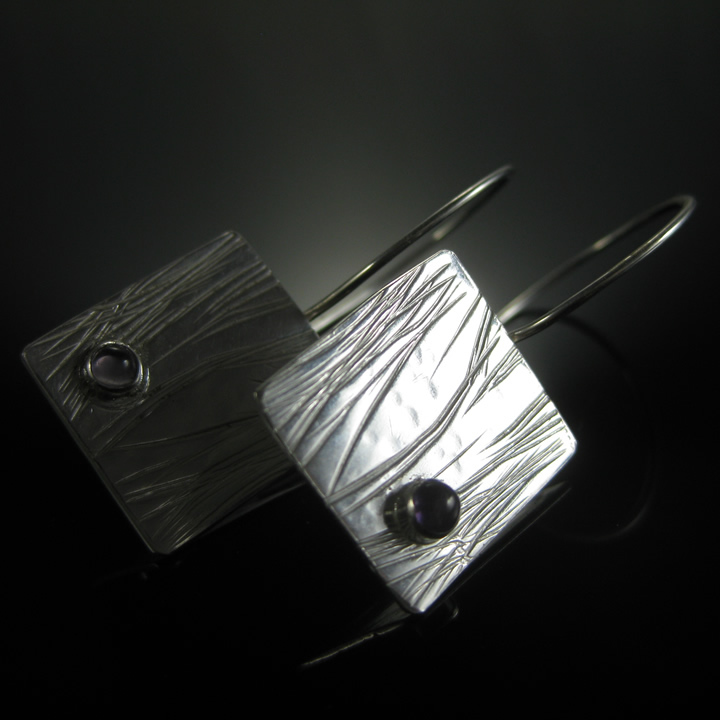 A glimmer of amethyst showing through branches – each pair will be different. These earrings and the necklace below will be part of my new Wisp range and I wanted to show you them although the range is not on my website yet. They are based on the stories of the Will of the Wisp – the glimmer seen through the trees leading travellers away from the safe paths, a flickering light always just out of reach. 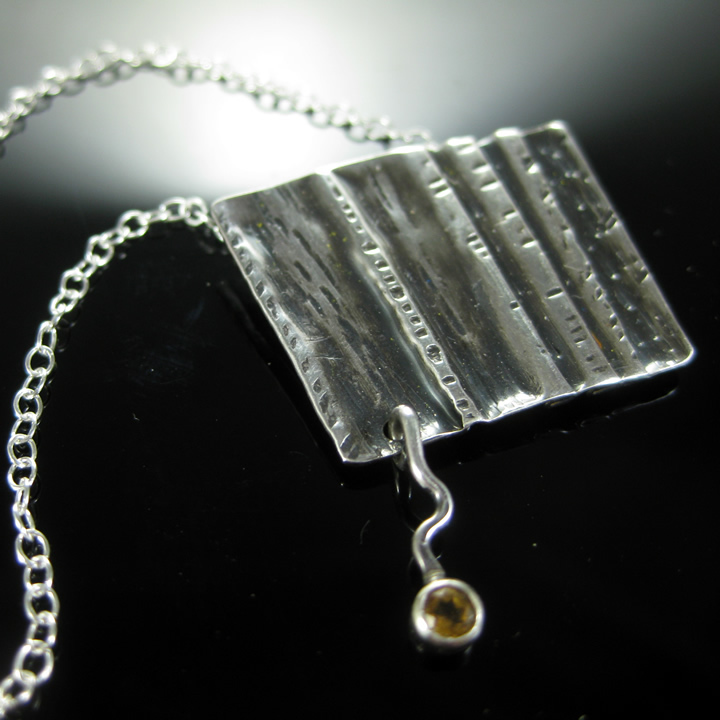 A fold formed pendant, darkened with liver of sulphur giving the idea of woodlands – tree trunks, with a dangle of silver tube set with a citrine for the wisp – ever moving. Join me tomorrow for day 5 of this week of settings. If you would like to learn silver smithing, bezel setting or tube setting please visit our website to learn more about our jewellery making breaks – suitable for all levels. We are just a short flight away, just get on the plane and we’ll do the rest. 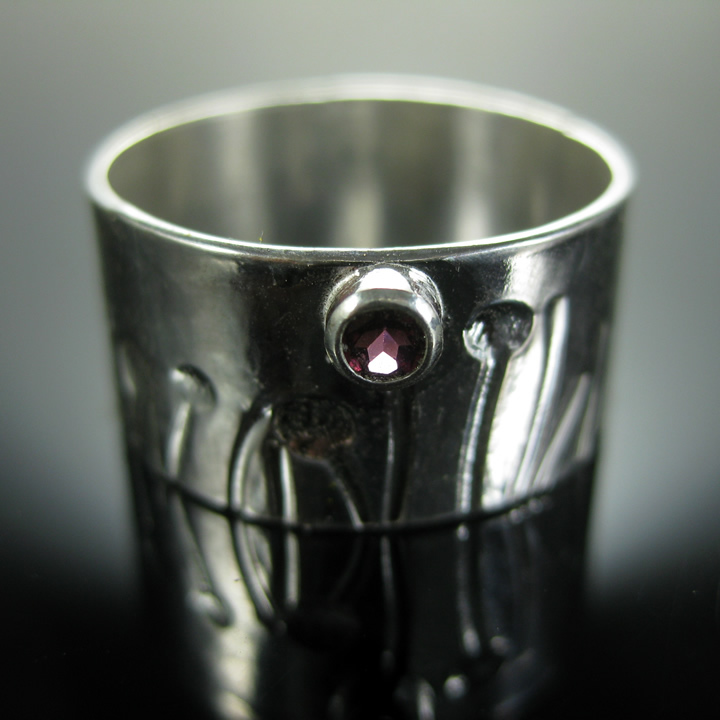 This entry was posted in Earrings, Fold Forming, Pendants, Rings, stone setting and tagged A Setting A Day, poppy ring, tube setting, will of the wisp. Bookmark the permalink.